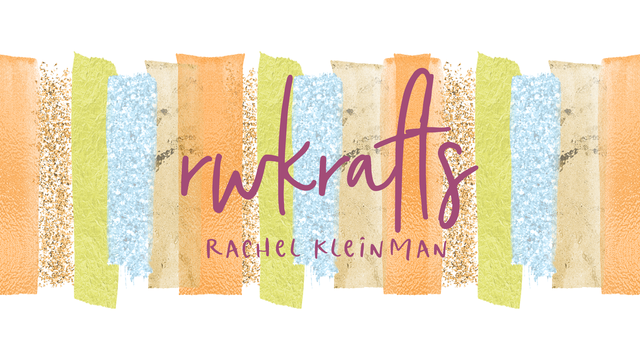 RWKrafts: TRIPLE THREAT Blog Hop! DCWV, May Arts, Tombow - PRIZES! TRIPLE THREAT Blog Hop! DCWV, May Arts, Tombow - PRIZES! 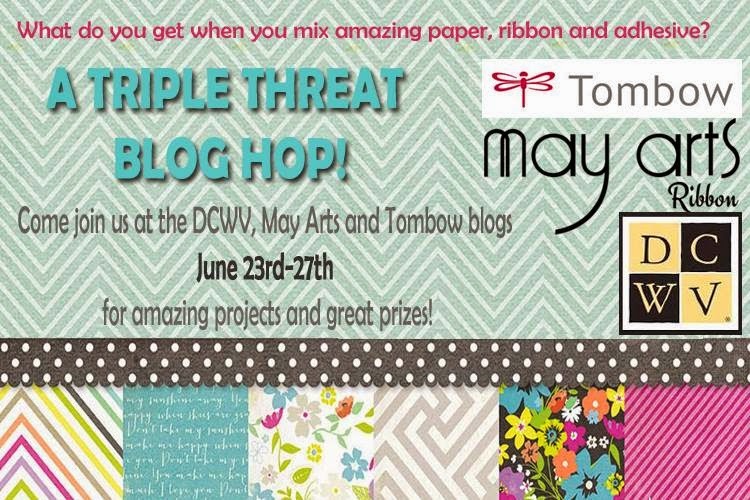 Welcome to the DCWV/May Arts/Tombow Triple Threat Blog Hop! 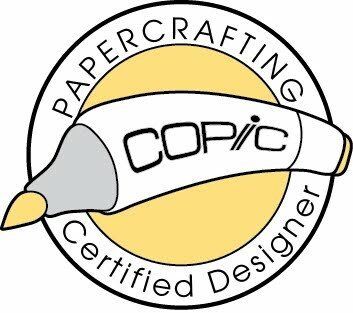 All this week, designers from these three great companies are sharing projects they created by teaming up some fun paper from DCWV’s Honey Chic stack, with a variety of adhesives from Tombow and some beautiful ribbon from May Arts. 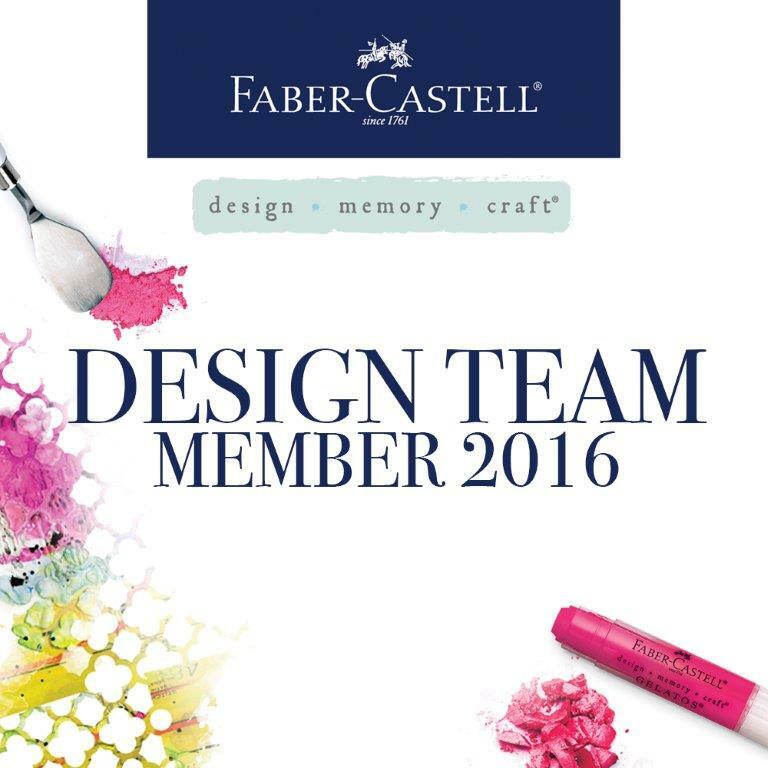 If you have come here from Karen Hanson's blog then you're on track! If not, you can go back to any of the company websites and start the hop from there! I covered a basic kraft box with the Honey Chic papers and wrapped the border with May Arts green polka dot ribbon. The twine and that gorgeous rhinestone chain is from May Arts too! I love it. PRIZES!! Leave comments throughout the hop for your chance to win one of THREE prizes! The TRIPLE THREAT prize including a stack from DCWV, a spool of ribbon from May Arts and Xtreme Adhesive, Power Tabs, Removable Adhesive and Fastener Tabs from Tombow. Winners will be chosen from comments throughout the week, so make sure you check back daily to increase your chances of winning! Also, please make sure you have popped on over to Facebook and “liked” each of the company pages (DCWV / May Arts / Tombow), because really, what’s not to like?! This is so great! I want to make one! LOVE how you have decorated the pretty box and created the sweet mini book too!!! THANK YOU for sharing your CREATIVE INSPIRATION Rachel!!! What a fabulous mini- mini!! It's just too cute Rachel. Adorable box and mini book! Love it! This is adorable! I like your choice of papers and ribbon. Love the idea of the mini-album in the box. The box is decorated so beautifully and then to open it and find the album. Great project. Another nice idea for a project. Beautiful mini book and box, great colors, papers and elements. That is an awesome mini. So fun. Oh how sweet! It has got to take a lot of talent to make something so small so pretty! I love the many different elements you included without making it look too busy! Love your little album!! And that Honey Chic stack is that bomb - I'm loving it!! You did such a wonderful job on this album and the box! What a sweet project! This is such a fun project! Awesome! LOVE your mini and box! Great papers that are tops on my MUST have list! TFS! Awesome project! I wish you could give us a step by step on how you made the book. Love how it turned out, and the box too. Great job! Thanks for sharing. Wow, that is definitely a mini album, Rachel! So cute...I think I am going to replicate that....my DGD would love one for her own!!! This mini is the cutest! Love how you've put it together with the gift box - so pretty! What a sweet gift you made Rachel! I love that you made that mini album that used only one sheet of paper! That is so cool! You are so talented and always come up with great things to share! What a darling little box! Such a cute mini album! Thanks for sharing. That is the cutest little album ever. Such creative use of all the products. Darling! Decorated boxes are great alone -but having the additional book inside is double the creative pleasure. What a sweet, sweet mini album. You did such a lovely job on the box and the album. Love them. oh my how totally cute.. way to be creative.. i love this mini album and the matching box is perfect..
What a super cute happy mini album and matching box! It just makes you giggle. Love it! Very pretty box and mini album ! Creative and original ! Sweet little mini album. I'm sure you had fun doing it. Your embellishments on the front of the little box are great. Thanks for sharing. Very pretty and love that you added it to a box! You inspire me to do more of these altered projects! This is a blast with the adorable little album tucked inside this altered matchbox! Love DCWV's Honey Chic stack! It is just so pretty!! I like the colors and textures of this. I love it! Very pretty colors! Darling, what a great mini album! Can't believe how tiny it is! So cute, what a great mini album! Love how it has a personalized cover, job well done! I never even thought of doing a mini album in a matchbox! So cute!